There are millions of shipping containers in the world. At any time there are a multitude of them for sale or rent anywhere in the world. As a company inquiring about shipping containers you need to know how to evaluate the container manufacturer and what to look for in their products. Shipping products overseas or storing items in containers requires that you understand what the parameters of your own products are and what kind of environment you are looking for in the containers, whether for storage or shipping. As with any manufacturer, not all are equal. There are quality producers, there are cheap manufacturers and there are those that are leading edge. Quality producers generally have a good to excellent product at industry standard pricing ranges. Finding one with a quality product and excellent pricing is possible. Cheap producers provide a low grade product that may not stand up to your requirements and do so at a low cost. Leading edge manufacturers could also be quality producers, but have a line of top notch container solutions that can meet even the most demanding requirements. The most important part of the manufacturing process is third party certification to ensure the manufacturer lives up to their claims. There are several certifications available and required for container storage and shipping. The best course of action is to contract or purchase from a manufacturer that meets or exceeds as many of these standards as possible. Here is a list of possible certifications. ISO 9001 – is a quality management standard that ensures the company that you are dealing with is managed with quality procedures and standards in place. 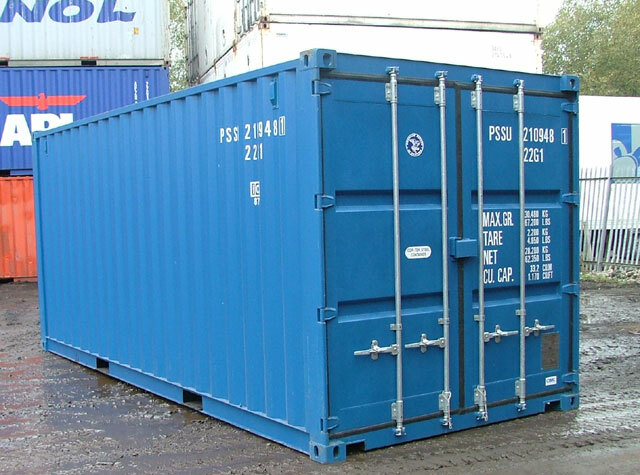 ISO 1496-1 – Series 1 freight containers, specification and testing, general cargo for general purposes. ISO 6346 – Freight containers, coding, identification and making. UNECE, TIR Certification – complying with the Customs and Conventions on the International Transport of Goods under the cover of TIR Carnets. C.S.C Certification – complying with the requirements of the “International Convention for the Safe Containers”. Hempel Paint System – certified maritime paint systems to protect against rust and corrosion. Through confirming the appropriate certifications of the container manufacturer that you intend on purchasing from, a peace of mind sales transaction can take place. Find the appropriate certifications to specifically meet your intended purpose and for your specific geographic location. Failing to meet certain specifications, regulations or certifications can result in fines, penalties and spoiled or ruined product during shipping. If your intended manufacturer cannot prove their certifications it would be time to find another that can. Whether you are purchasing new or used the container should include the appropriate certifications.